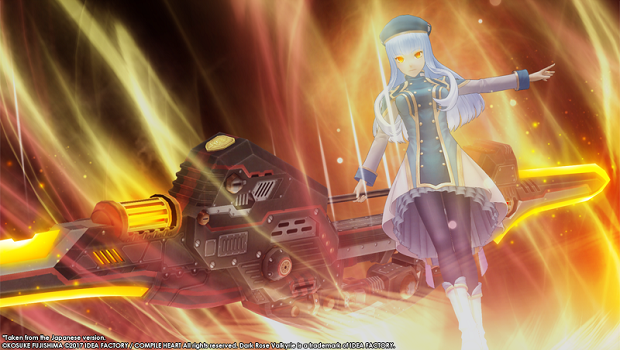 Idea Factory announced today that it will release Dark Rose Valkyrie for the PlayStation 4 on June 6 in North America. The JRPG will mix combo-based RPG mechanics with social interaction elements and will feature the talents of a couple Tales of franchise staff members. From the Tales of series scenario writer Takumi Miyajima and Tales of series character designer Kosuke Fujishima, Dark Rose Valkyrie takes place in the year 1929, where a massive outbreak occurred, transforming normal people into inhuman creatures known as Chimera. The cause was a mysterious virus carried over by a meteorite known as the Black Garnet, which had crashed into earth long ago. Players will control members of the Anti-Chimera Interception Division, otherwise known as ACID, to combat the remaining Chimera in Japan. The game’s main gameplay mechanic is the Overdrive mode, where characters can transform into stronger split personalities mid-battle, but overexerting a character will lead fatigue. Additionally, you can chain different attack and weapon combinations for each character, dealing more damage with Riot Combos, Simultaneous Attacks, and much more. Additionally, there will be visual-novel style sections, where you will try to find a traitor among your ranks, which will affect the ending. Dark Rose Valkyrie will be released on the PlayStation 4 on June 6 in North America as well as June 9 in Europe. Stay tuned for more news on Gaming Trend.